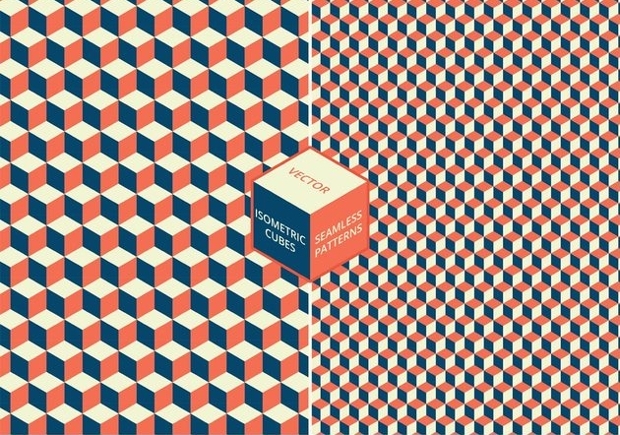 Have you been looking for unique cube patterns for your new graphic designing project? 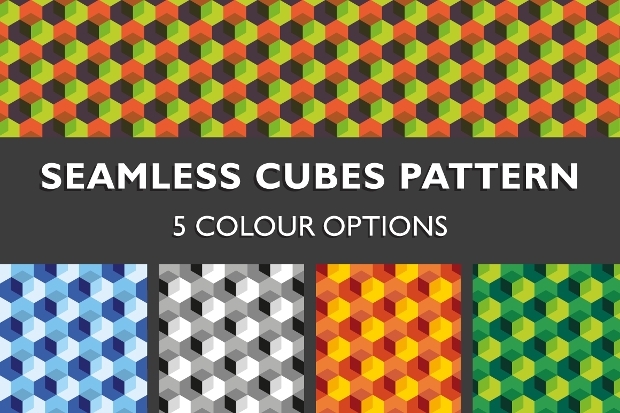 Cubes can be a great way to create 3D like patterns or even render virtual 3D objects. The best thing is that they come in a variety of textures, colors, and forms. Some even create an illusion that easily becomes the highlight of your design. 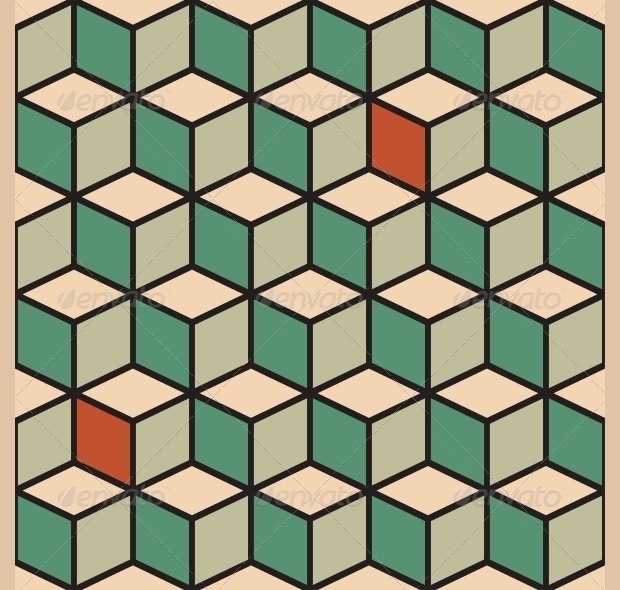 Here are some such cube pattern designs that you got to take a look. We hope that you find what you have come looking for! 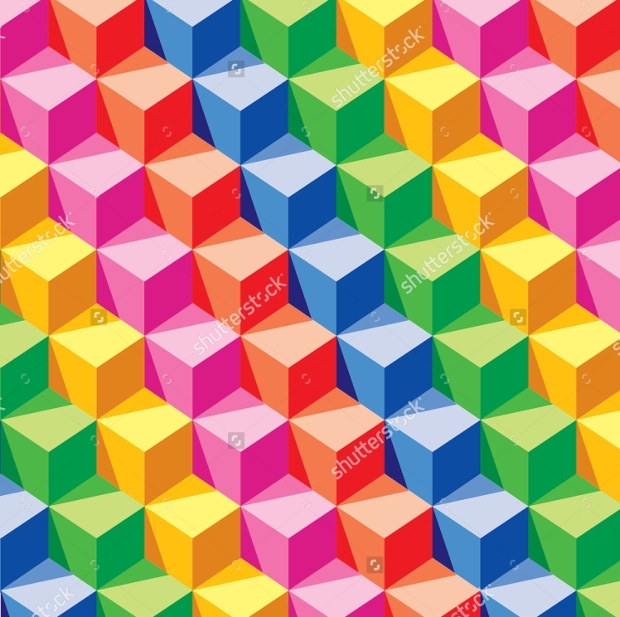 3D like symmetry, these colorful cubes can be well placed in your architectural 3D rendering or even some basic games. 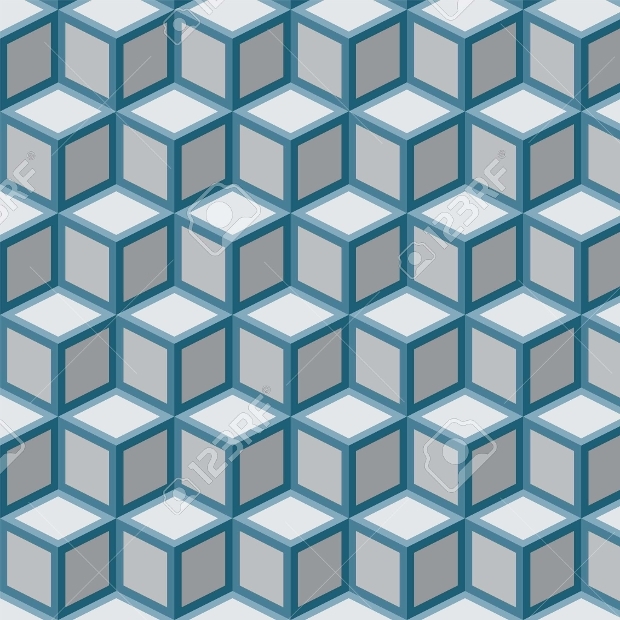 Although a 2D image, the arrangement of the cubes creates a step-like illusion and one can spend hours trying to decipher it in a virtual environment. This pattern can also be applied to printing purposes, from textiles to posters and hoardings for an interesting effect. 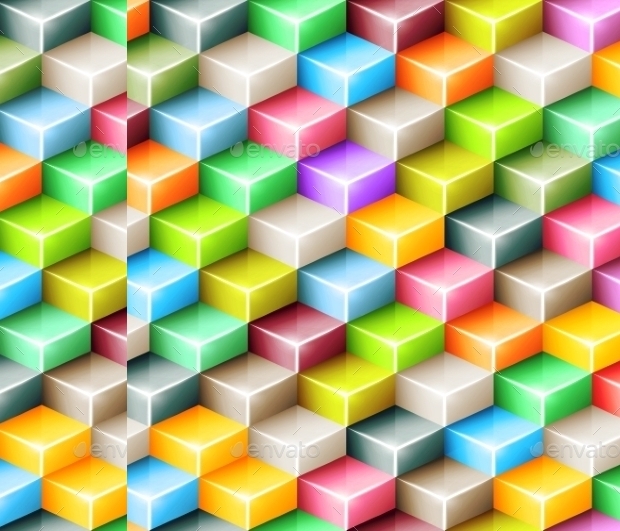 This pattern file includes five unique PNGs, each in different color combination. 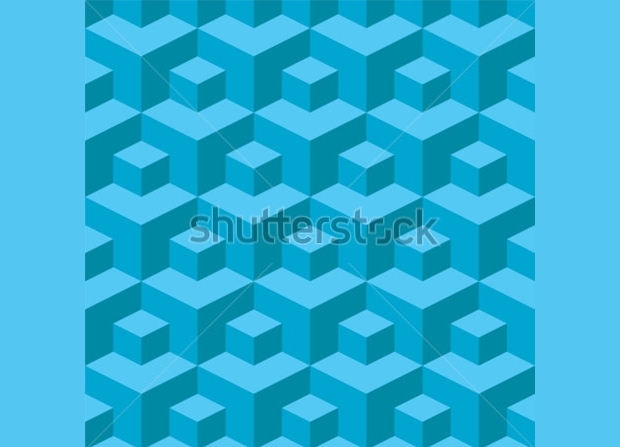 The hexagonal cubes are overlapped to create interesting patterns that can be used for both print and web purposes. 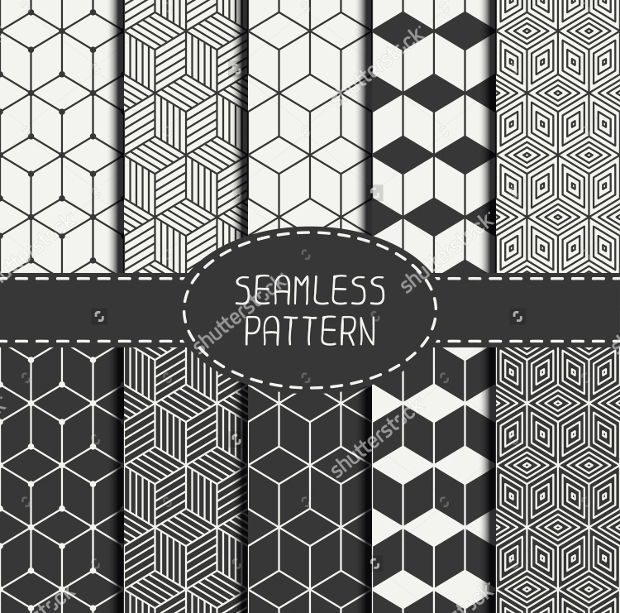 The pattern is offered as a PAT file for Adobe Photoshop editing and also as an AI Swatch file if you are looking to work with Adobe Illustrator. 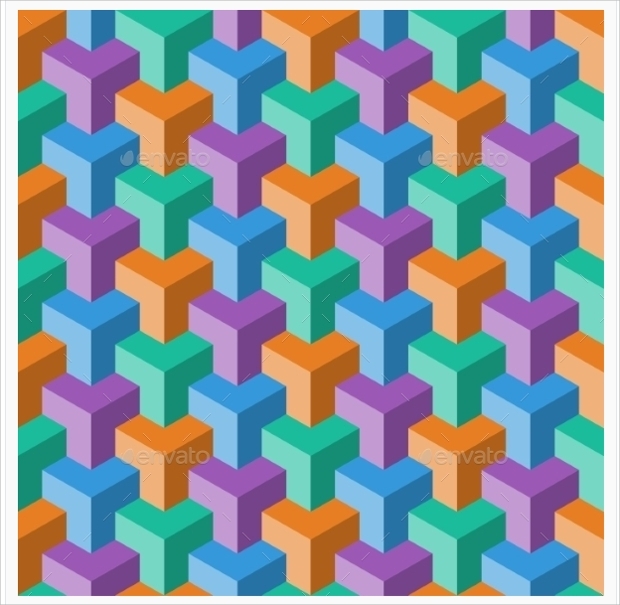 This is another interesting pattern to use in your 3D like a poster or virtual model rendering. The impeccable shadows and color gradients achieved in these patterns creates interesting depth in the image and can thus be applied to a range of projects. 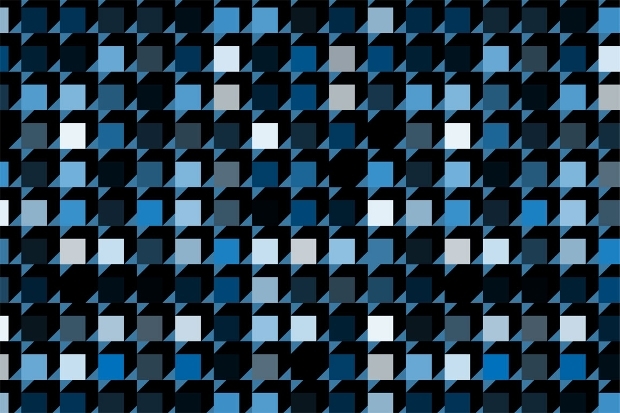 Depending upon your requirement and creativity, this pattern will be an interesting asset to keep handy! 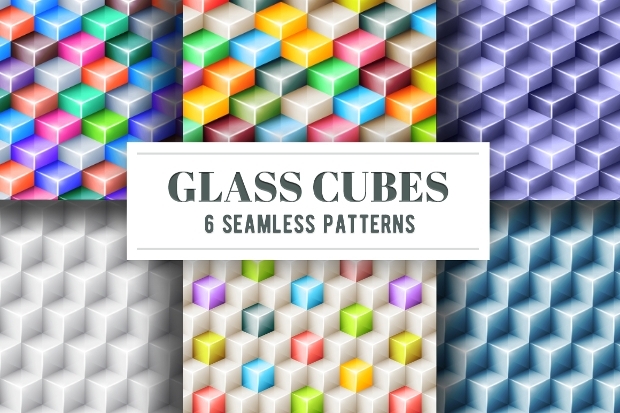 If you have been looking for highly reflective, glass-like cube patterns, here is your answer. Offered as a collection of six EPS, six AI, six JPEGs and one PAT file, the high resolution pattern will suit all applications. Further, the files come layered and thus can be adequately customized (color change) to meet your design requirements. 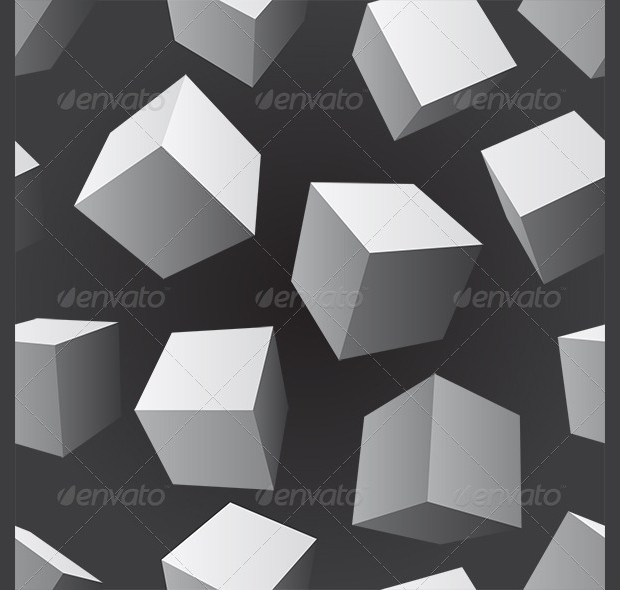 Floating cubes create an interesting pattern with all the precise shadows and highlights. 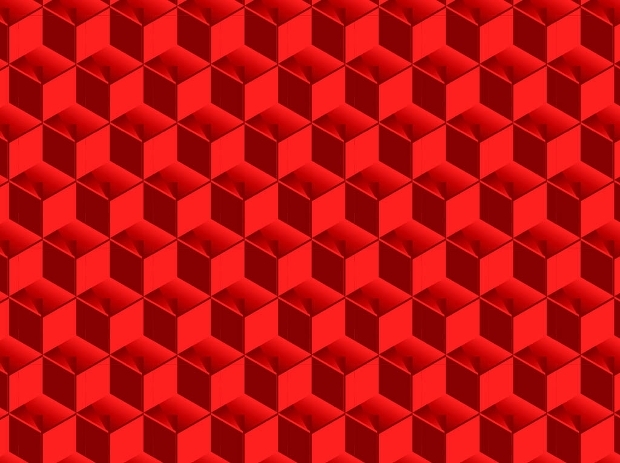 Each cube in this pattern floats from a different angles and thus provides a unique abstract to work with. If you have been looking for something more complicated, this will be an interesting option. 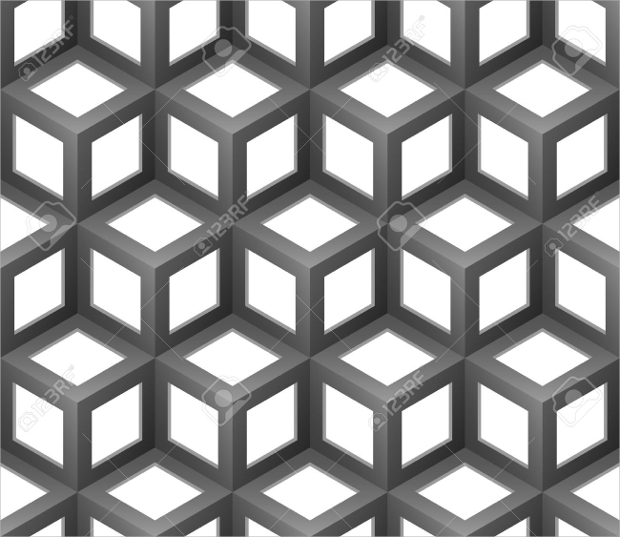 The pattern involves small blue cubes in 3D like projection with all the shadows, highlights and embosses in the correct places. 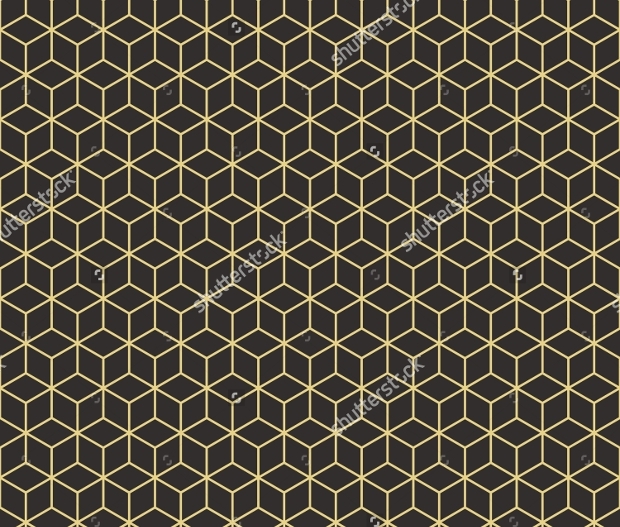 This pattern can make a good poster background and can even be used in your brochure and other printing material. 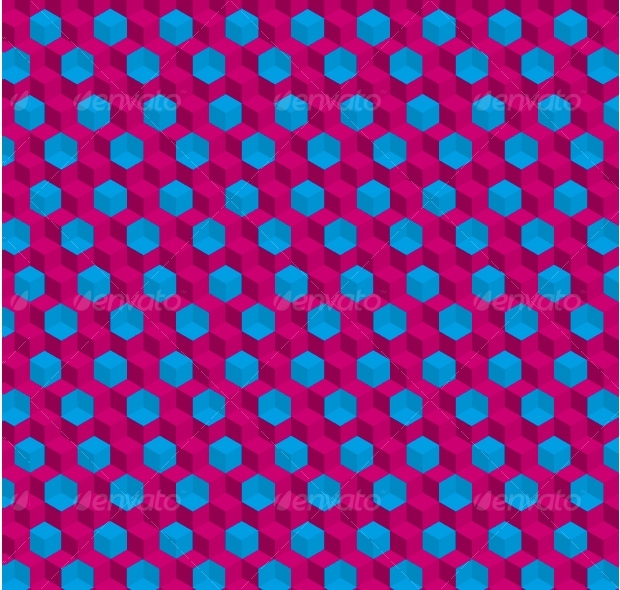 It’s easy to get lost in this pattern of alternating blue and pink cubes. The puzzle, like the effect created by this pattern, makes this image even or unique and interesting. Looks like bee hive but can be rendered as any 3D object in a virtual environment. If you have been trying to find the perfect material for rendering a 3D walkway, this will be it. 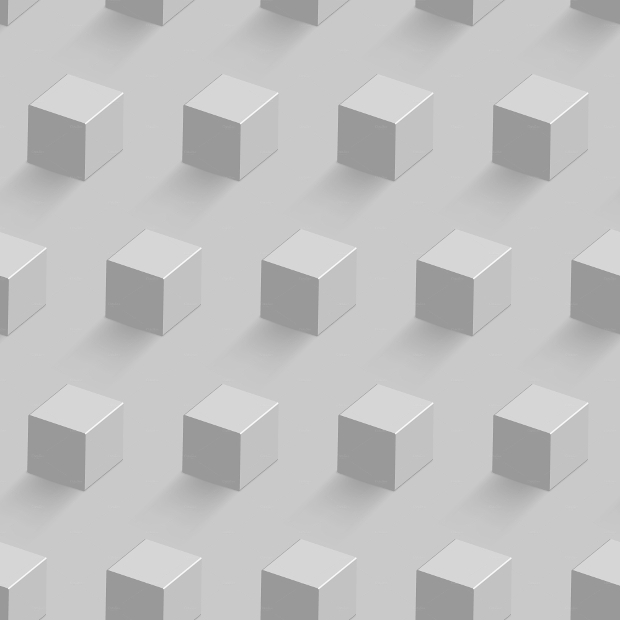 In this pattern, white cubes appear at regular and continuously spaces intervals over a white base. It really depends on your creativity and how to use the material but as a pattern, this makes an interesting visual effect. 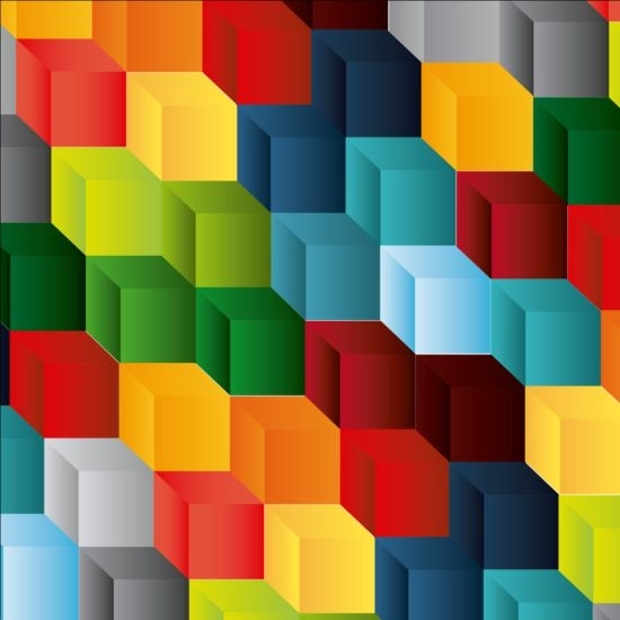 Another bold and interesting 3D like cubical pattern, the designer has used colors quite interesting over here. 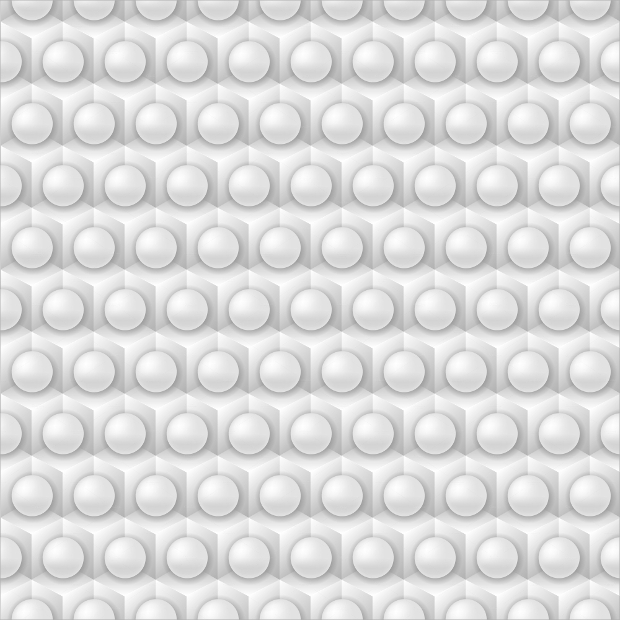 Here’s another interesting 3D like pattern created by white cubes and spheres. The file is offered as a high resolution vector EPS and can suit a range of applications. 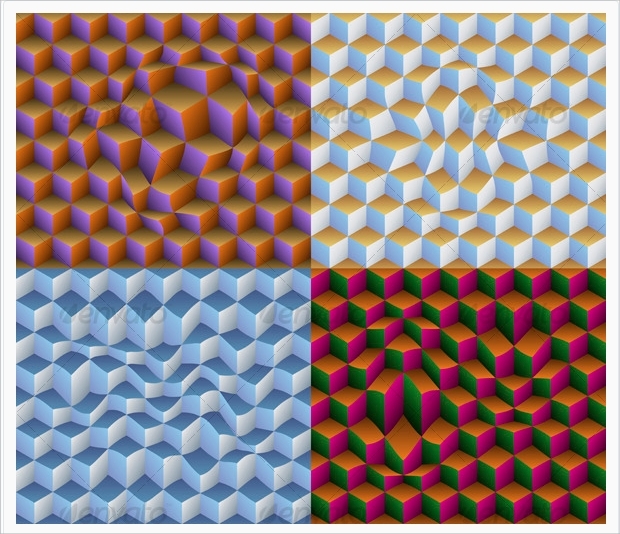 Geometrical shapes are an interesting way to create 3D like illusion in 2D prints and renders. Using cubes, circles, dots, triangles and more, you can establish a really unique design on any plain material.